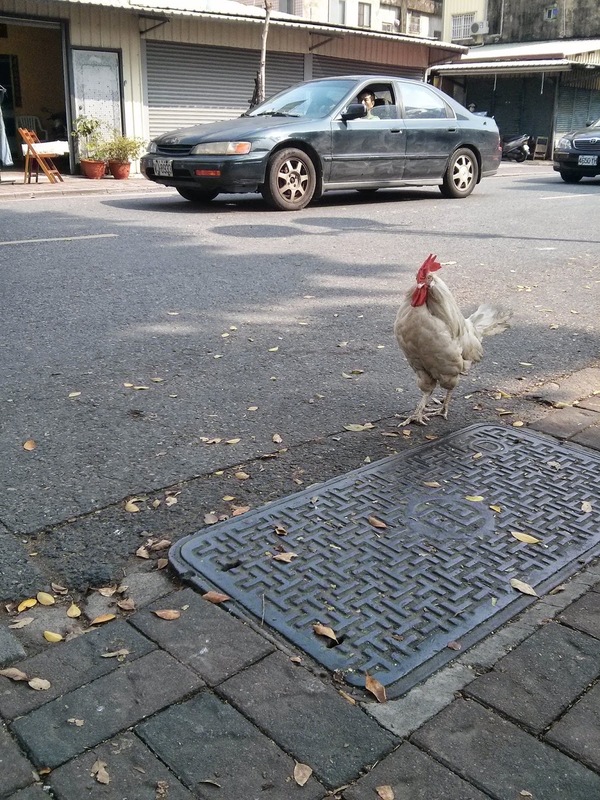 Yesterday I took a photo of a rooster in the street. I live in Taiwan now. Things happen like that here. I say, but I did watch an old woman try to catch him. When I asked if he was hers, she said no and grinned. I will get my hands on you.